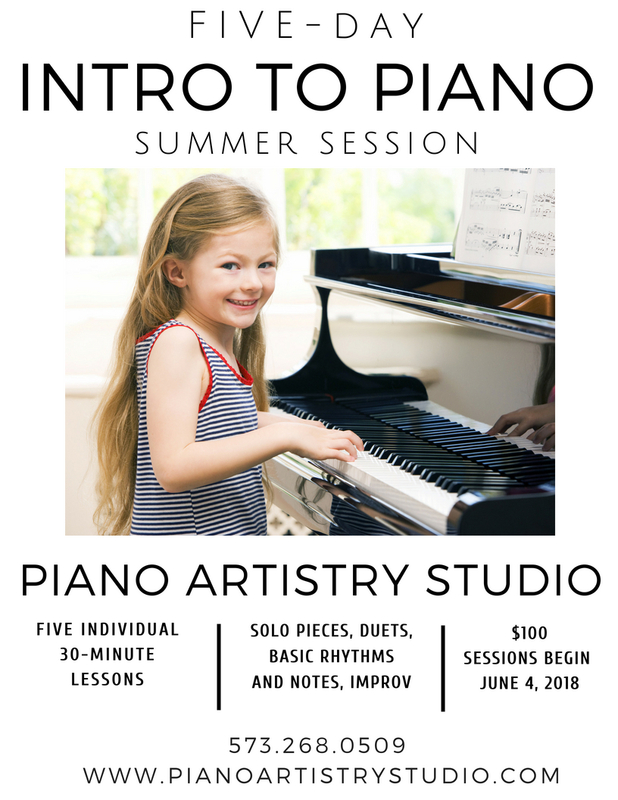 Now enrolling for our Five-Day Intro to Piano Summer Sessions! Sessions include five individual thirty-minute lessons, materials, and music! Each session is tailored to the individual’s age and interests and are designed for beginners of any age, from preschool to adult. Topics include the basics of note-reading and rhythm, solo pieces, duets, technique, listening, chords, and improvisation. Contact us for more information or registration! Engaging students throughout St. Charles County and west St. Louis County with music through private piano lessons and instruction. Our mission is to cultivate musicians by encouraging creative expression, imparting accurate musical understanding, fostering student achievement, and implementing systematic curriculum.